Open the document, then follow the steps below for your operating system. Make sure your product is selected. Note: If you don't see these buttons, click Setup, Printer, or Options, then click Properties or Preferences on the next screen. 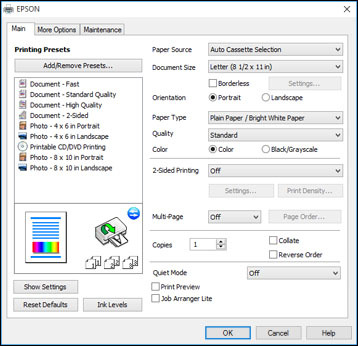 Select Paper Handling from the printer options pop-up menu. 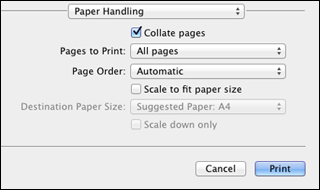 Select Reverse for the Page Order setting.